Many neglect their core seeing it as a less important muscle group than larger, showier muscles like arms, shoulders, and chest. They simply throw in a few crunches once or twice a week to keep their waistlines trim. This is a grave mistake. Applying strength training principles to the core improves motor control, muscular strength, endurance, and power. A strong core is important for good posture. It helps to maintain muscular balance, thereby keeping the hips level, and preventing the lower back from over-tightening, or becoming injured. Strong core muscles help to prevent injuries caused by instability. A strong and tight midsection helps to prevent problems such as hernias. A strong core provides efficient power transfer throughout the body, which improves all body lifts such as deadlifts and squats, as well as other exercises like running and swimming. To attain overall core strength, you need to be going far beyond standard crunches. They will give you one-dimensional core fitness and muscle tone, but will do very little for functional power transfer. Sure, your core gets a great blast when performing exercises like squats and deadlifts, but if you give the muscle groups some special attention, you should see performance in these lifts increase. Bear in mind, strength isn’t the same thing as definition. Better definition simply means a lower body fat percentage in most instances. By adding in fat burning supplements, such as Sheer Strength Labs Thermogenic Fat Burners, you will also achieve a much faster visible improvement to your midsection. The muscles of the core go far beyond the beloved six pack, delving deep into the midsection, at all angles. The visible muscles, the rectus abdominis (six pack) and external obliques (sides) are well known and are the most commonly trained of the core muscles. However, when talking about core strength, the more important muscles are hidden beneath more showcased muscles. They include the internal obliques, transversus abdominis, the pelvic floor muscles, muscles around the spine, and a few more. 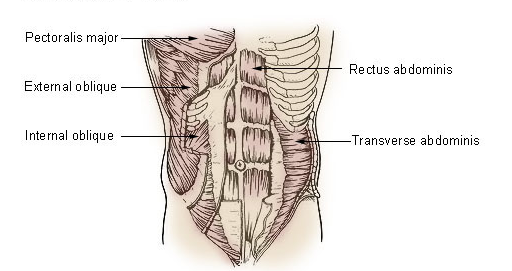 These deeper muscles stabilize the trunk, transfer energy efficiently, and pull the midsection in tight to accentuate the external muscles of the core. The definition of muscular strength is the ability of a muscle, or group of muscles, to exert maximum force upon contraction. With the core muscles being active for most of the day in one form or another, you want strength endurance. Effective strength endurance is achieved when a group of muscles can exert less than maximum effort for a good amount of time, without tiring. The central dogma of strength training is ‘progressive overload,’ that is, to increase resistance and train to point of failure in order to increase muscular strength. That sounds obvious, but many people do not apply this with their core training. Instead they perform the same basic exercises and just tone the core muscles. As with any muscle group, the way to achieve core strength is to add resistance to the functional movements of the muscle (previous section). The nature of these muscles and recognizing hypertrophy is not the primary goal, isometric contractions (contractions such as the plank that don’t shorten the muscles) are extremely effective to strengthen the area. To develop core strength within 10 minutes, will require high-intensity work, with very little rest. You should only rest to stretch out and catch your breath. Aim for no more than a 10- second rest for every minute of this routine. The core recovers faster than many other muscle groups. This is because these muscles are used continuously in everyday activities such as walking. But it still needs rest, so you should apply strength training to your core every other day or three times per week. As with all types of resistance training, warming up is essential. It is especially important to warm up thoroughly when applying resistance to the core, to prevent injuries to the lower back and hips. Your warm up should consist of getting the blood pumping and running through the list of functional movements mentioned in a previous section. You may find it beneficial to add 10 minutes of core strength training to the end of a workout when you are already warm. One final warm-up exercise to perform helps flatten the tummy and is called the stomach vacuum. The stomach vacuum is excellent for tightening the deep transversus abdominis muscle and is performed by standing upright, with the shoulders back, exhaling, then pulling the tummy in as far as possible and holding. Hold for as long a possible. You should now be ready to move to the main 10-minute core strength workout. Keep in mind that these are warm-ups, and it’s not unusual when starting a new workout to fatigue yourself quickly. One great way to mitigate this is to take high-quality pre-workout supplements, such as Sheer Strength Labs NO2 Nitric Oxide Boosters, as well as their Pre-Workout powder. These supplements give you the boost of energy you need to keep your warm-up an actual warm-up, so that the rest of your workout can continue to be intense! To keep things simple here, there will be only six basic exercises in your 10-minute workout. These exercises have many variations. It is important to mix up your core strength workouts by incorporating these variations from time to time. If you are new to these exercises, it is recommended you perform them without added resistance before you begin adding weight. Start with good old sit-ups. This simple, age-old exercise needs little in the way of instruction. Just remember to arch your back at the top to complete the movement, and roll your spine back down onto the floor in a controlled motion. You can add weight in the form of a medicine ball or disc, and even add twists. You may also perform this at a cable station on your knees (see cable crunches section). Cable wood chops work rotational strength into your core workout. Simply stand with your side facing the cable stack and grab a stirrup handle with both hands (pictured). Now, using a weight, contract the core to move the cable in a wood chopping motion. Slowly return and repeat. Then work the opposite side the same way. You can vary the angles for this exercise, from high to low level (pictured), or low to high. These all work the core, especially the obliques, in different ways. Leg raises are exactly as they sound. You’ve probably done them before. Lie flat on the ground, or a bench while keeping your back flat and legs straight, raise your legs up until they’re perpendicular to the floor, before slowly lowering them. Done correctly, you will feel the burn in your lower abdominals. If this is too hard, try bending your legs. You can also progress this exercise by lying on an inclined bench, meaning that there will be no rest at the top of the movement. You can also strap weights to your ankles. Cable crunches have an advantage over standard crunches as you can vary the resistance far easier. Kneel in front of a cable station, with the cable hanging above you. A double rope type handle is best for this. Grip the handles either side of your neck and crunch towards the floor, only moving your upper torso. You can use dumbbells for this exercise, but a cable may be more comfortable. Stand with your side facing a cable station and set the pulley as low as possible. Grip the handle and flex your body to the opposite side, contracting the obliques, without moving your hips. Slowly return to the start. Repeat for the opposite side. The plank is an excellent isometric exercise that contracts the entire core and is especially good at working the vitally important transversus abdominis muscle. Get into a press-up position, but on your elbows. Keep your back and legs flat and straight, so there is a straight line from your neck to your heels. Hold this position. You can make this harder by placing weight on your back, or raising your toes. You can also incorporate the stomach vacuum from the warm up for super efficiency when you get good enough. Another variation is to perform the side plank (pictured below) to hit the obliques with more tension. Note: Aim for a maximum of 10 seconds rest per minute if you can. Also add tension to work towards the point of failure when you feel ready. The post Core Strength in 10 Minutes appeared first on .